This item will earn you 380 reward point(s). 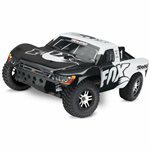 The Traxxas Slash specifies the Short Course truck segment and sets the requirement for sturdiness, performance, and technology. 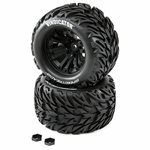 Ingenious functions like Traxxas Stability Management (TSM), modular chassis design, and ultra-efficient shaft drive enhance Slash's track-tested precision and rock-solid sturdiness. 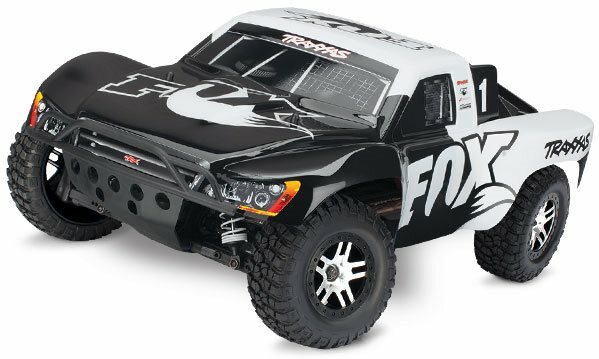 Slash 4X4's extreme Velineon brushless power supplies shrieking 60+miles per hour speed while the TQi radio system keeps whatever under precise control. With just one drive you will see why the Traxxas Slash 4X4 elevates Short Course performance to a whole brand-new level. Slash 4X4 reaches speeds in excess of 60+mph! Regularly bought with the product that you are presently reviewing. 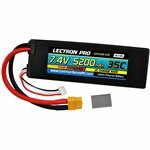 This 2-cell 7600mAh 75C lipo is perfect for 1/10 scale cars, trucks, and buggies! Consists of an XT60 port on the discharge leads plus a Good sense RC adapter to transform XT60 ports for use Traxxas® vehicles.